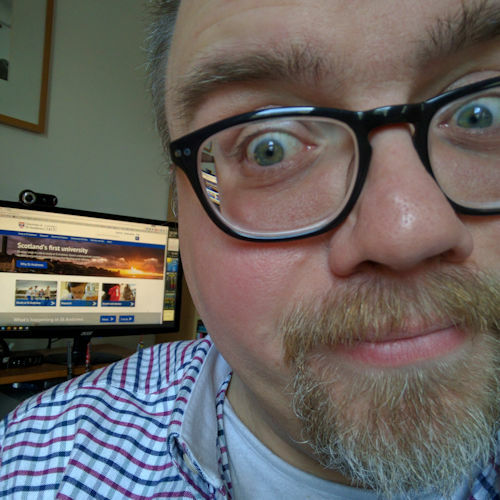 Ages ago I signed up for a few of the Microsoft emails, including the Exploring Windows newsletter, and this is what arrived today. I suspect that a few of the Microsoft employees were smoking something hallucinogenic when they composed this photo montage that arrived in my email inbox a few minutes ago. It looks like a weird mind-trip from the 60s. A beautiful, red-haired woman is sitting in front of what looks like a Thai backdrop design. Someone has obviously decided to build a Thai-style replica of the Eiffel Tower in the background (to her right). But the truly disturbing bit is that her left arm appears to have been turned into what looks like a combination of trains, fish and some neck ties, which she is poking through the bottom right pane of a blue window. Still, she looks happy … to be starting something new. Or something. 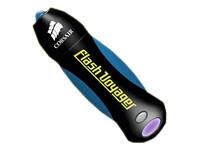 I’ve just ordered a couple of Corsair Flash Voyager 256MB USB 2.0 flash drives from Savastore; one for me, one for Jane. Up until now we’ve made do with CD-R discs, or Compact Flash (CF) and Multimedia Cards (MMC) to transfer data between PCs. But a USB flash drive would certainly be more user- and environmentally-friendly. And quicker. Lightning-fast transfer speeds make this our drive of choice. There’s no security, but the rubber casing makes it waterproof. At £26 for 512MB it’s a bargain, especially considering its ten-year warranty. The month before in PC Plus magazine there was a Masterclass article entitled “USB Key Toolkit”. The article advised buying a flash drive of at least 256MB and packing it with tools, just in case your PC should go down and you need to reboot from the flash drive. This works with newer PCs only, as older ones can’t boot to USB devices. If you need to store any secure data on your flash drive, e.g. passwords, then create an encrypted virtual partition with an encryption tool. HDDLife – monitors the temperative and capacity of drives. Autoruns – shows all the applications that autorun as you boot up Windows. Mozilla Firefox – browser (there is a portable version that runs from a USB drive. The latest DirectX, .NET Framework (v.2.0 is out now), Visual Basic runtimes, and internet extensions such as Macromedia Flash. If you have the space (1GB or 2GB flash drive) then consider a CD image of Windows XP, and SP2. If you can then slipstream Windows XP with SP2. Include some piece of ID, on a plain text file, perhaps. And if you travel alot then also take scans of your imporant passport and insurance documents; you never know when that could be useful. Keep it on your TrueCrypt virtual drive to keep it safe. I can’t wait. I now wish I’d ordered the 1GB drive … but maybe I can work my way up to that. … and it keeps on snowing. The scene from my study window at 09:15 this morning. Jane is currently on the telephone to some colleagues in Elgin, Moray cancelling a meeting she is due to attend at 16:00 this afternoon. We watched the latest BBC Weather video forecast online which spoke of sleet, snow and strong (60 mph) winds. And then it began to snow. I’ll not be going out on my bike this morning then. Or taking the recycling to the recycling centre at our local Tesco. It’s simple to install, customize and use. Obviously, it prefers an always-on internet connection to update the information. Having been listening to Lamb of God in the car, I did something I’ve not done in ages: listened to as much of one letter of the alphabet as I can in a day. I came home from dropping Jane off at work, fired up WinAmp and started listening to Incubus. And then Infectious Grooves, Insania, Iommi, IR8 vs Sexoturica and now Iron Maiden. I discovered that Insania think that they are Helloween! I also discovered that I have a lot of Iron Maiden MP3s … but then, I have a lot of Iron Maiden CDs!